What defines luxury? 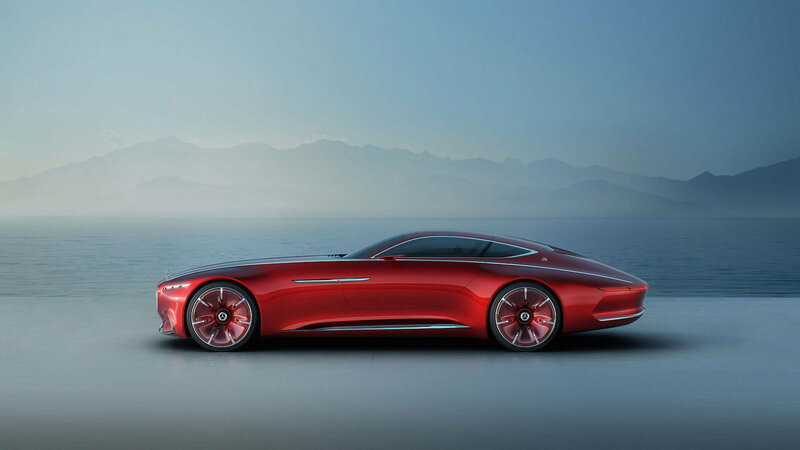 It's an answer that changes according to the the companies that establish it and Mercedes aims to claim that with the Maybach 6 concept. Just take a look for yourself, as a picture simply doesn’t do this car justice. Managing to blend in inspirations from an earlier time, where cars were bigger and seen as displays of technological innovation, Maybach has always managed to create of professional level of fantastical allure. The elongated body panels, mixed with ultra-luxury rated features and hints of aero engineering all point to a level of class that stands above most vehicle makers. This concept follows these same ideals, and instead of matching trends, it creates them. 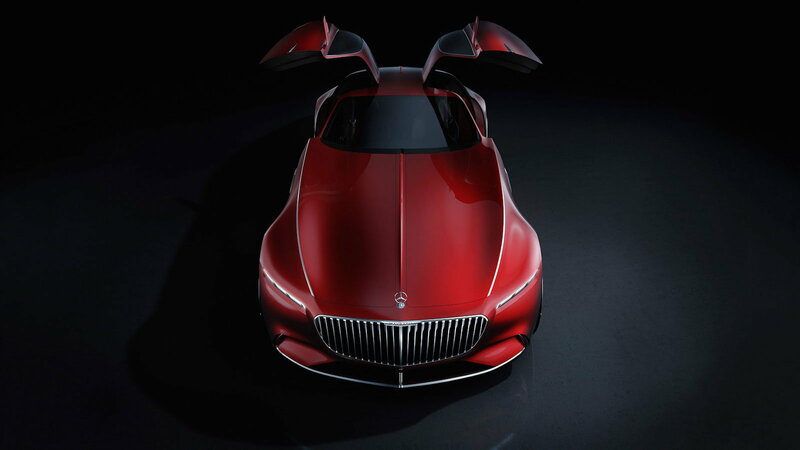 >>Join the conversation about the Vision Mercedes Maybach 6 right here in MBWorld. If the new concepts have shown anything, its that Mercedes-Benz absolutely loves LED lights. There’s an emotional connection that’s seemingly easy to capture with ambient lighting. This concept is a vital part of pairing the car with the driver, to take a normal commute and turn it into an emotional experience. Mercedez-Benz has been utilizing ambient lighting for a while now. First executing customizable settings in the S-Class series, and then allowing these features to trickle down into other car models. Here Mercedes takes the lighting to another level by using a system that monitors the passenger's vital signs in order to match the lights to their emotional state. 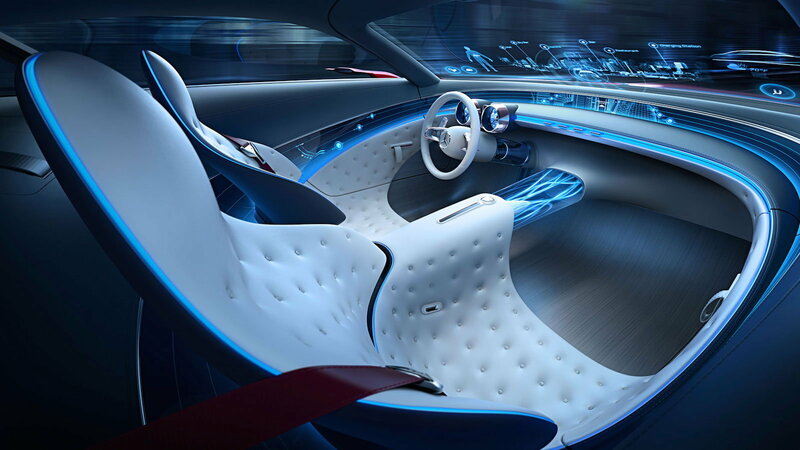 The seats are made from high-quality leather, while the crystalized dashboard wraps around most of the cabin, creating the illusion of a spatial 360-degree design. Wooden trims accents on the door panels are painted to match the digitized styling of the cabin along with elm wooden floors. It's an enticing interior design that manages to simultaneously combine a classic, yet modern feel. While there’s been some loud criticism about the interior, the exterior has managed to please just about everyone. Its sleek low hood-line maintains the visual prowess of modern roadsters, while the long chassis and stout trunk pays homage to cars of the past. With the top on, it maintains a menacing posture that captures the attention of both the young and old alike. All the while driving it as a convertible somehow manages to encapsulate what the perfect dream car would look like. The body lines, are expertly crafted, allowing the Maybach to cut through the air effortlessly. It's an excellent example of innovative engineering as the grille, Gullwing doors, headlights and trim all work together to create a visually pioneering look. Prior to and post the Great Depression, the automotive industry boomed releasing innovative chassis and powertrain designs. During these years, the focus shifted from building cars that relied on cheap, reliable power to ones that could combat issues of non-renewable energy. The search for power took a back seat as they looked for ways to balance out the performance spectrum. Hybrid vehicular designs made production breakthroughs, and car companies began utilizing this platform to create powerful, yet gas efficient vehicles. It seems now, we are slowly breaching the transitional wall and peering into a horizon of fully electric vehicles. The fact of the matter is, the world is calling for cleaner emissions without limiting power bands. Mercedes-Benz has shown to be more than competent in building efficient hybrid vehicles. The emphasis on performance detail and expertise on production vehicles reign true to just about anything they release. 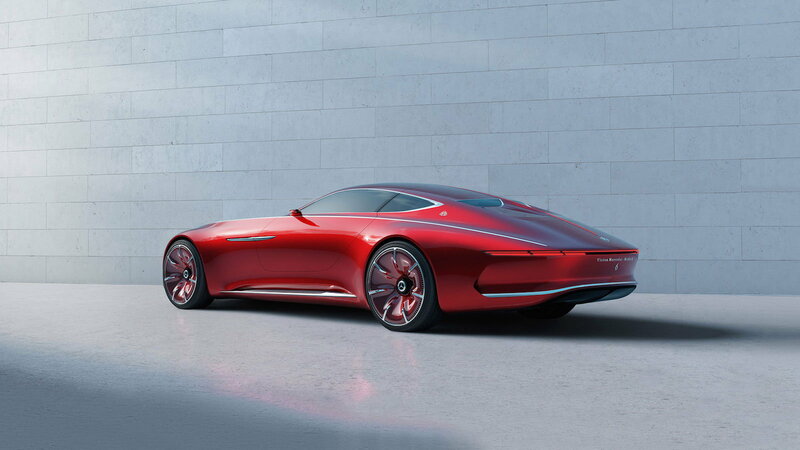 This Mercedes-Maybach 6 Concept car is full-on electric. Using four independent motors it makes a combined power output of 738hp and can reach 0-62mph in just under four seconds. While its top speed has been limited to 155mph, there’s speculation that it can be tuned for more. However, the most impressive facet is its range of over 200 miles before needing a charge. These unique, fully electric luxury machines can drive the distance from Orlando to Miami in just one charge. The cabin is constructed to offer a spatial 360-degree experience. Its as if sitting inside the Mercedes-Maybach separates you from this plain of reality. Its dash is integrated into a crystal clear display, while the speedometer and RPM meter is encased in chrome analog housings. Perhaps the most interesting feature is the windshield which manages to project real-time traveling information onto the windshield of the car, this includes things like restaurant and charging station identifiers. Occupants use gestures to control the information displayed. Body sensors are sewn inside the seats so the car can adjust its comfort setting according to whatever the person prefers or requires. It’s a seamlessly hands-free vehicle, meant to encapsulate the phrase the future is now.